For the more adventurous vacationer, try spending the night under the stars. Camping, whether in a tent or an RV, allows you to ​fully connect with nature during your vacation. On your left approximately 6 miles from the Ferry Dock. One of the beauties of this park is its vast tree canopy, located on a rocky shore, facing West. There is a small sand beach. The park can accommodate RV's (max 31'), as well as tents. There are out houses and two spigoted drinking water wells. Each site provides a picnic table and fire pit. Grocery stores and restaurants are about 2 miles East. The Drummond Island Heritage Trail is part of the park - hiking, nature walking, & bird watching are summer venues, with snow- shoeing in the winter. Open May - Oct. roughly (Frost-out to frost-in) R.V. sites are full hook-ups (water, sewer, electric 50/30/20 amps). Each site has a picnic table. 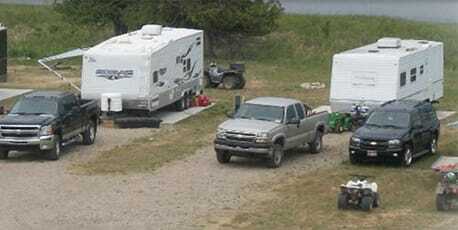 RV Campers will be charged for boat dockage unless you are seasonal. We have a central fire pit for campers or you may bring your own self contained patio fire pit. We are not set up for tent camping but we do accept tents. Laundry facilities and wireless internet available . 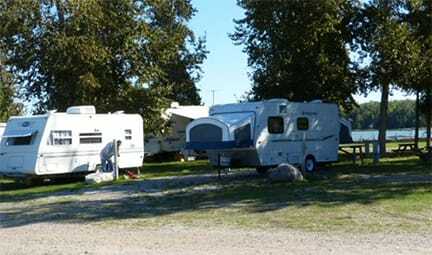 ​Campground and RV Park onsite. Two, three, & four bedroom cottages complete with kitchen supplies and linen. Beautiful three bedroom home on a private island off the shore of Drummond Island, pontoon boat and motor included with Island rental. Store stocked with groceries, beer and wine take-out, ice, gas, tackle, marine supplies, bait, and unique gifts. Marina has mechanic on duty, boat and motor repair, full line of marine parts, dockage, hoist, storage, boat and motor rental. Dealerships include Yamaha sales and service, Crest & Manitou Pontoon boats, Polar Craft and Meyers boats, Shorelander and Karavan trailer and Shorestation boat lifts. Perch, pike, bass, cisco, salmon & lake trout fishing. Charters available. Open Year Around! Located on the shores of Lake Huron in the village, near the museum, a coffee shop and the Drummond Island Yacht Haven resort and marina, our one, two and three bedroom cottages overlook a sand beach and beautiful Potagannissing Bay. From comfortable couches beside limestone fireplaces and retro-kitchen decor to rustic log cabins, our cottages offer something for everyone. Fire pits, grills, picnic tables and private dock space are included with your rental. Nestled among the trees, our 16 waterfront campground sites offer 30 amp power, sewer, freshwater and shower house. Amenities include a fish cleaning house, boat ramp, fire pit, sand beach and free wi-fi. A private dock space is available for an additional charge. 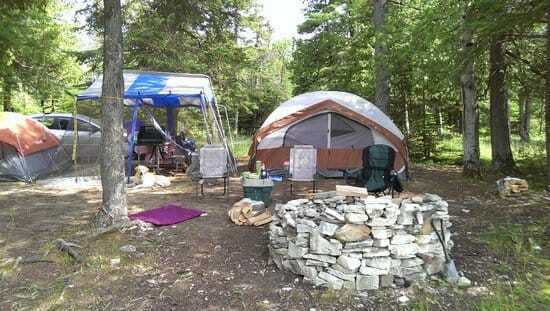 Rustic camp sites are also available. Trailhead is centrally located on the Island with easy access to Drummond Island trail system. Great food, drink specials, and food specials. Free WI-FI and billiards. Modern private bathrooms and showers. Large cement slabs for RV's. Pull thrus. No toy hauler too big. Special events or group events welcome, we can accommodate large groups, we cater, please inquire!